In case you missed seeing Lana on radio, television, or elsewhere, take a look at some of her recent appearances and articles written about her. Join the email list to get announcements of upcoming appearances. 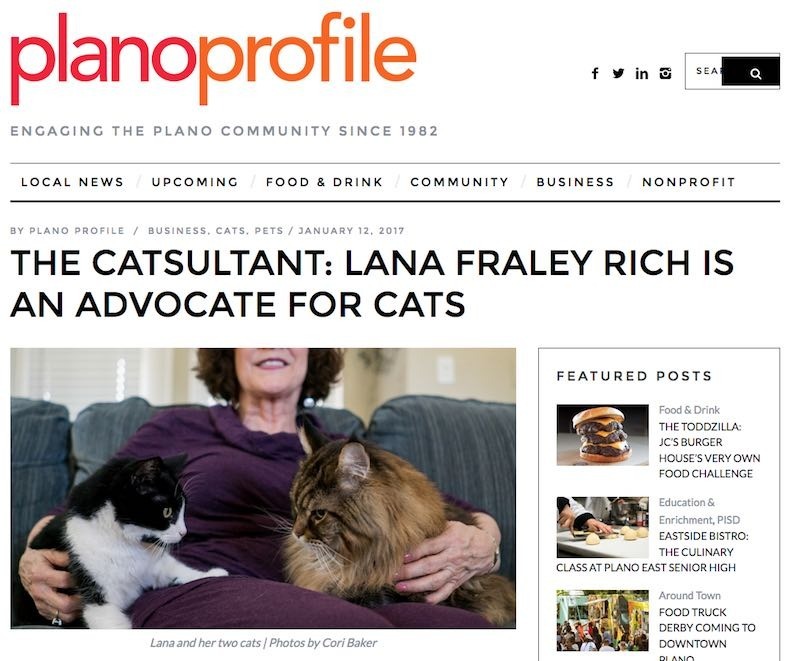 Read this great article on Lana, the Catsultant.